Recent generations have been brought up to see the Bible as a book that contains many interesting stories and religious teaching, but has no connection to reality. The history as recorded in the Bible has been attacked by our increasingly secular culture. As a result, recent generations have been brought up to see the Bible as a book that contains many interesting stories and religious teaching, but has no connection to reality. This limited viewpoint helps explain why there are so many questions about how the Bible can explain dinosaurs, fossils, death, suffering, and many other topics that relate to our real world. This chapter will outline the major events of the past (and even the future)—the “7 Cs of History”—that are foundational to the Bible’s important message and demonstrate how the Bible connects to the real world. God created the heavens, the earth, and all that is in them in six normal-length days around 6,000 years ago. God created the heavens, the earth, and all that is in them in six normal-length days around 6,000 years ago. His completed creation was “very good” ( Genesis 1:31 ), and all the original animals (including dinosaurs) and the first two humans (Adam and Eve) ate only plants ( Genesis 1:29–30 ). Life was perfect and not yet affected by the Curse—death, violence, disease, sickness, thorns, and fear had no part in the original creation. After He was finished creating, God “rested” (or stopped) from His work, although He continues to uphold the creation ( Colossians 1:17 ). His creation of all things in six days and resting on the seventh set a pattern for our week, which He designed for us to follow. After God completed His perfect creation, He told Adam that he could eat from any tree in the Garden of Eden ( Genesis 2:8 ) except one—the Tree of the Knowledge of Good and Evil. He warned Adam that death would be the punishment for disobedience ( Genesis 2:17 ). Instead of listening to the command of his Creator, Adam chose to rebel, eating the fruit from the tree ( Genesis 3:6 ). Because our Holy God must punish sin, He sacrificed animals to make coverings for Adam and Eve, and He sent the first couple from the garden, mercifully denying them access to the Tree of Life so that they would not live forever in their sinful state. Adam’s sin ushered death, sickness, and sorrow into the once-perfect creation ( Genesis 3:19 ; Romans 5:12 ). God also pronounced a curse on the world ( Genesis 3 ; Romans 8:20–22 ). As a result, the world that we now live in is a decaying remnant—a corruption—of the beautiful, righteous world that Adam and Eve originally called home. We see the results of this corruption all around us in the form of carnivorous animals, mutations, sickness, disease, and death.3 The good news is that, rather than leave His precious handiwork without hope, God graciously promised to one day send a Redeemer who would buy back His people from the curse of sin ( Genesis 3:15 ). As the descendants of Adam and Eve married and filled the earth with offspring, their wickedness was great ( Genesis 6:5 ). God judged their sin by sending a global Flood to destroy all men, animals, creatures that moved along the ground, and birds of the air ( Genesis 6:7 ). Those God chose to enter the Ark—Noah, his family, and land-dwelling representatives of the animal kingdom (including dinosaurs)—were saved from the watery catastrophe. All the tribes and nations in the world today have descended from these various groups. All the tribes and nations in the world today have descended from these various groups. Despite what you may have been led to believe about our seeming superficial differences, we really are all “one blood” ( Acts 17:26 )—descendants of Adam and Eve through Noah and his family—and all, therefore, are in need of salvation from sin. God had created Adam and Eve with the ability to produce children with a variety of different characteristics. This ability was passed on through Noah and his family. As the people scattered, they took with them different amounts of genetic information for certain characteristics—e.g., height, the amount of pigment for hair and skin color (by the way, we all have the same pigment, just more or less of it), and so on. In fact, the recent Human Genome Project supports this biblical teaching that there is only one biological race of humans. As one report says, “It is clear that what is called ‘race’ . . . reflects just a few continuous traits determined by a tiny fraction of our genes.”7 The basic principles of genetics explain various shades of one skin color (not different colors) and how the distinct people groups (e.g., American Indians, Australian Aborigines) came about because of the event at the Tower of Babel. The creation and Flood legends of these peoples, from all around the world, also confirm the Bible’s anthropology to be true. God’s perfect creation was corrupted by Adam when he disobeyed God, ushering sin and death into the world. Because of Adam’s disobedience and because we have all sinned personally, we are all deserving of the death penalty and need a Savior ( Romans 5:12 ). As mentioned before, God did not leave His precious—but corrupted—creation without hope. He promised to one day send Someone who would take away the penalty for sin, which is death ( Genesis 3:15 ; Ezekiel 18:4 ; Romans 6:23 ). God killed at least one animal in the Garden of Eden because of the sin of Adam; subsequently, Adam’s descendants sacrificed animals. Such sacrifices could only cover sin—they pointed toward the time when the One whom God would send ( Hebrews 9 ) would make the ultimate sacrifice. When God gave Moses the Law, people began to see that they could never measure up to God’s standard of perfection ( Romans 3:20 )—if they broke any part of the Law, the result was the same as breaking all of it ( James 2:10 ). They needed Someone to take away their imperfection and present them faultless before God’s throne ( Romans 5:9 ; 1 Peter 3:18 ). In line with God’s purpose and plan for everything, He sent His promised Savior at just the right time ( Galatians 4:4 ). There was a problem, however. All humans are descended from Adam and therefore, all humans are born with sin. God’s chosen One had to be perfect, as well as infinite, to take away the infinite penalty for sin. God solved this “problem” by sending His Son, Jesus Christ—completely human and completely God. Think of it: the Creator of the universe ( John 1:1–3, 14 ) became part of His creation so that He might save His people from their sins! Jesus fulfilled more than 50 prophecies made about Him centuries before, showing He was the One promised over 4,000 years before by His Father ( Genesis 3:15 ). While He spent over 30 years on earth, He never once sinned—He did nothing wrong. He healed many people, fed huge crowds, and taught thousands of listeners about their Creator God and how to be reconciled to Him. He even confirmed the truth of Genesis by explaining that marriage is between one man and one woman ( Matthew 19:3–6 , quoting Genesis 1:27 and 2:24 ). Jesus is called the “Last Adam” in 1 Corinthians 15:45 . While Adam disobeyed God’s command not to eat the forbidden fruit, Jesus fulfilled the Creator’s purpose that He die for the sin of the world. The first Adam brought death into the world through his disobedience; the Last Adam brought eternal life with God through His obedience ( 1 Corinthians 15:21–22 ). Because God is perfectly holy, He must punish sin—either the sinner himself or a substitute to bear His wrath. Jesus bore God’s wrath for our sin by dying in our place on the Cross ( Isaiah 53:6 ). The Lamb of God ( John 1:29 ; Revelation 5:12 ) was sacrificed once for all ( Hebrews 7:27 ), so that all those who believe in Him will be saved from the ultimate penalty for sin (eternal separation from God) and will live with Him forever. Jesus Christ, the Creator of all things ( John 1:1–3 ; Colossians 1:15–16 ), was not defeated by death. He rose three days after He was crucified, showing that He has power over all things, including death, the “last enemy” ( 1 Corinthians 15:26 ). As Paul wrote, “O death, where is your sting? O grave, where is your victory? . . . But thanks be to God who gives us the victory through our Lord Jesus Christ” ( 1 Corinthians 15:55–57 ). When we believe in Christ and understand what He has done for us, we are passed from death into life. When we believe in Christ and understand what He has done for us, we are passed from death into life ( John 5:24 ). The names of those who receive Him are written in the Lamb’s Book of Life ( Revelation 13:8; 17:8 )—when they die, they will go to be with Him forever ( John 3:16 ). Just as “science” cannot prove that Jesus rose from the dead, it also cannot prove that God created everything in six days. In fact, “science” can’t prove any event from history because it is limited in dealings about the past. Historical events are known to be true because of reliable eyewitness accounts. In fact, there are reliable eyewitness accounts that Jesus’ tomb was empty after three days and that He later appeared to as many as 500 people at once ( 1 Corinthians 15:6 ). Of course, we know that both the Resurrection and creation in six days are true because God, who cannot lie, states in His Word that these things happened. 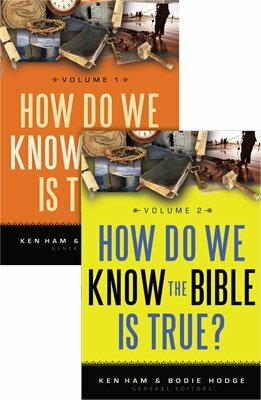 While the secular history of millions of years isn’t true, and evolutionary geology, biology, anthropology, astronomy, etc., do not stand the test of observational science, the Bible’s history, from Genesis 1 onward, is true; the Bible’s geology, biology, anthropology, astronomy, etc., are confirmed by observational science. Therefore, the fact that the Bible’s history is true should challenge people to seriously consider the Bible’s message of salvation that is based in this history. Death has been around almost as long as humans have. Romans 8 tells us that the whole of creation is suffering because of Adam’s sin. As terrible as things are, however, they are not a permanent part of creation. God, in His great mercy, has promised not to leave His creation in its sinful state. He has promised to do away with the corruption that Adam brought into the world. He has promised to remove, in the future, the curse He placed on His creation ( Revelation 22:3 ) and to make a new heaven and a new earth ( 2 Peter 3:13 ). In this new place there will be no death, crying, or pain ( Revelation 21:4 ). Those who have repented and believed in what Jesus did for them on the Cross can look forward to the consummation of God’s kingdom—this new heaven and earth—knowing they will enjoy God forever in a wonderful place. In the future, God will take away the corruption that was introduced in the Garden of Eden, giving us once again a perfect place to live! A worldview based on a proper understanding of the history of the world, as revealed in the Bible, is what every Christian needs to combat our society’s evolutionary propaganda. 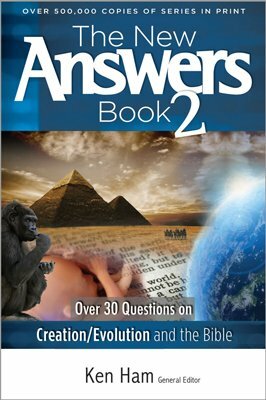 Previous Chapter The “Evolutionizing” of a Culture Next Chapter What’s the Best “Proof” of Creation? For a more in-depth analysis of the complexity of DNA and information theory, see www.AnswersInGenesis.org/go/information_theory. For more information, see www.AnswersInGenesis.org/go/kinds. For more information, see www.AnswersInGenesis.org/go/curse. See Noah’s Ark: A Feasibility Study by John Woodmorappe (Santee, CA: Institute for Creation Research, 1996) for a detailed analysis of the capacity of this huge ship to hold all the residents of the ark. For more information, see www.AnswersInGenesis.org/go/flood. For more information, see www.AnswersInGenesis.org/go/linguistics. S. Pääbo, “The Human Genome and Our View of Ourselves,” Science 29, no. 5507 (2001)): 1219–1220.